Nominations/Applications are now open for speakers for TEDxTauranga 2016! We are looking for speakers who are either based in the Bay of Plenty or have close ties to our region. or, Apply to Speak yourself! What might they talk about? 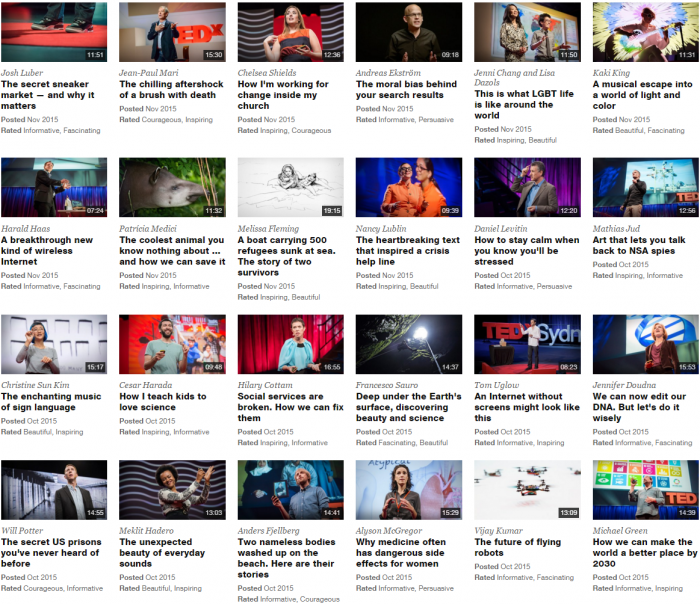 Here is a list of the latest talks on the TED.com website. Can you think of someone who could give a talk like one of these?